Rhoda Wilson is the creator, producer and one of the executive producers of Miracles of the Christmas Angels which had a successful and well attended premiere on the 10th of November 2017 at the Vue Cinema in Westfield Stratford. The production from pre-production to completion took 19 months; started April 2015 and delivered October 2017. Rhoda Wilson is also the creator, producer and executive producer of the successful TV series Housewives & Girlfriends which hit Africa Magic Urban channel 153 on the 16th of October 2015 with a strong cast of 62 in season 1. This was by far the most challenging of any media project ever undertaken by anyone in Nollywood UK. The crew and cast have completed season 2 and getting ready for season 3. Housewives & Girlfriends is a 30 minutes’ drama with comical undertone set in London, UK. Season 1 took 18 months to complete whilst a shorter period was achieved for Season 2. In December 2014, Rhoda was in Atlanta to film the Nigerian-American Dream a documentary following the lives of Nigerians in the USA. It was filmed in Lagos, Nigeria and Atlanta, USA. Rhoda Wilson was born in Lagos, Nigeria and later attended one of England’s top boarding schools, Hurtwood House in Holmbury St Mary Dorking. A former energy credit analyst, a holder of BA in Business Studies and a Masters Degree in Financial Management, Rhoda Wilson started The Rhoda Wilson show in 2005 on OBE TV. In 2008 The Rhoda Wilson Show, a 30 minutes show, moved to BEN TV (Sky Channel 238) aired weekly, had a global viewership of circa 1,300,000 per show in 2010. With a wide mix of subject matter, Rhoda selects her guests with the central theme of inspiration and motivation. The show ran for eight years until 2013. In May 2012, Rhoda was invited by President Jacob Zuma courtesy of the South African High Commission to the UK to attend the AU Global Diaspora Summit. Rhoda was one of two individuals selected. 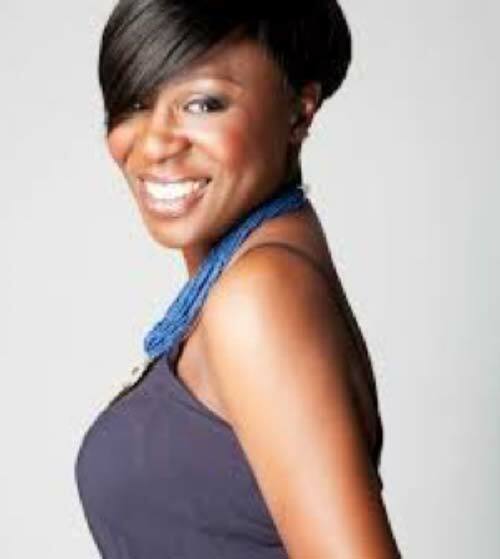 As well as profiling a variety of guests, Rhoda Wilson has also appeared on a number of publications, TV and radio shows including BBC World Service, VoxAfrica, Bang Radio, BBC radio 4, MIPTV Cannes (France), In-flight Magazine of Etihad Airways, Colourful Radio, World Content Markets (Prague), Africast Abuja (Nigeria) and several other publications across the world. Rhoda has been in the media industry for 13 years and has established contacts in the media world especially across Nigeria, South Africa, Europe and the US. In the last 6 years’ has been a regular visitor at MIPTV Cannes and, separately, at the Cannes Festival, She has experience in all aspect of the management of production from pre-development, production and post-production to marketing especially distribution and advertising. She also runs production surgery for up and coming producers as well as workshops for the Nollywood industry all UK based. Rhoda is a member of the Women in Film and TV organisation based in the UK with over 10,000 members and; UK Nollywood Producers Guild. “I believe I can make a difference because there is a need in the market and I have incredible passion and I am committed to making this happen.” - Rhoda Wilson. We aspire to encourage young black women in their journeys to push boundaries, whilst celebrating the commitments of Black Women Entrepreneurs in Great Britain. Our aim is to promote innovative, creative and talented black women in business across Great Britain, the Black Female Entrepreneurs that contribute in creating economic growth and social wellbeing.